Please leave YOUR CONTACT DETAILS including your email (when send through Trade me). ORDER your OWN mountain buggy PACKAGE personally - include all items you really need! Also we make CUSTOM PRAM LINERS: see the service listing # 604173577. Great communication (sorry I was a little slow). Also good service, honest and friendly. Many thanks! Anna was so easy to work with and so helpful! We are trapped with the pram and carry cot we received. Fantastic service! Our hand-me-down Mountain Buggy we got from family was a rusted out mess until we took it to mbuddy4you. Now it looks and handles amazing! Anna is amazing!!! Exceptional customer service. She made my 12 yr old mountain buggy look beautiful and it works perfectly again. Amazing value for money, I am so happy with the work she did for us. Thank you Anna, highly recommend!! Anna Ivanova: Thank you very much for your feedback! Excellent seller, very informative and so easy to deal with. Would highly recommend. Thank you! Amazing to deal with, and pram is fantastic! Thankyou ?? 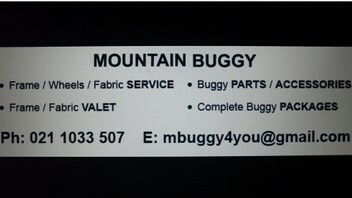 So I purchased Mountain buggy package, which is very professionally serviced and comes in an awesome condition. Would definitely recommend. Thanks for trade. Excellent service Anna collected a buggy for me from a seller she gave it a good overhaul and it looks amazing I would highly recommend Anna if you are looking at refreshing your buggy she really knows her stuff and is a pleasure to deal with. Great trade - the night arrived in excellent condition! Really impressed with the fantastic service! The Mountian Buggy I purchased had been beautifully refurbished and was basically like new! Anna was a pleasure to deal with. Informative and helpful but not at all pushy. I wouldnt hesitate to recommend her to anyone. Thank you Anna for a smooth transaction! She responded to my queries promptly and was easy to deal with. The pram looks great! I am happy with my purchase. Thanks again! I’m so happy with the work Anna did to refurbish my Urban Jungle. It looks like a brand new one again! Brakes replaced and fabric back to being black, it looks amazing and Anna did an excellent job, and quickly too. I highly recommend Anna! Anna did a full service on my Buggy. Very happy about the outcome and the price. Very good and fast communication. Buggy was done over a weekend, which was brilliant. Highly recommended. We purchased a full mountain buggy package from Anna recently, and couldn't be happier. The buggy is in incredible condition, lots of time and care clearly went into the reconditioning of it! Such friendly and professional service - thanks again Anna!